With over 3,600 tech vendors in attendance this past January, CES 2016 had its fair share of winners and losers. So we thought we would revisit some of the ones that blew our minds with their awesomeness and a few of the things that left us scratching our heads. There were a lot of highs this year, but in the interest of time we will stick to the ones that we felt stood out more than the rest. For years we just had dull bland refrigerators littered with magnets holding photos, drawings, and calendars. 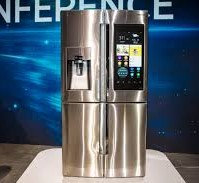 But the Samsung Family Hub is about to blow the magnets off your fridge. A panel on the door now provides a calendar that can be synced with every family member. So you will always know who has band practice and when the first soccer game of the season is. You can also use a smartphone to post sticky notes on the panel from anywhere by using sticky note apps. And no more warped pictures that have been on display for years. Now all of your pictures can be uploaded and viewed with just a touch of your hand. Imagine you are at the grocery, and you cannot remember if you have eggs, and when you try to call your house no one answers. Now imagine opening an app on your smartphone that shows you the eggs you purchased two days ago. With three built-in cameras that snap a pic every time you close the door, you can always know what is in your fridge. You should really toss those bananas in the bin; they are a shade past brown. If you love dancing in the kitchen, and who doesn’t build in speakers on the hub allows you to connect to Pandora or TuneIn Radio. And by adding compatible wireless speakers, you can dance in every room in the house. So if you thought the ice maker was cool, the Samsung Family Hub will blow you away. Update: This product is currently on the market. 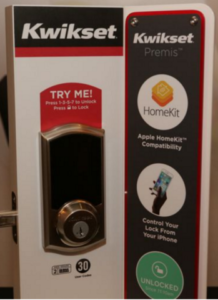 Smart lock technology isn’t a new idea, but the new Kwikset Premis Smart Doorlock that was revealed at CES is the start of a new wave of door lock technology. With the ability to connect to Apple’s HomeKit this new smart lock will allow you to use Siri to manage your door locking system. You can even choose a unique command that will open the door. So if you want everyone to know “The Queen has Arrived” you can program you lock to open when you announce that you have arrived home. Just be prepared in the event another family member tries to dethrone you. With a keypad that can recognize up to 30 user codes, you can keep track of who is coming and going and grant access to your loyal subjects as you see fit. 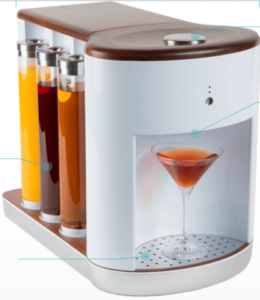 If your friends complain behind your back because your craft cocktails are awful, then the Somabar Robotic Bartender is something you should consider. It works like a Keurig for cocktails by allow you to choose what liquor and mixers you want to add, and then it makes a cocktail your friends will tweet about, although if they are talking about you behind your back, you may want to reevaluate some of your relationships. Stocked with over 300 cocktail recipes and the ability to add your own recipes, this robotic bartender won’t let you down, and it won’t talk about you either, so that is a win-win! It’s still in the final stages of production, so you may need to Google some recipes in the short term, but with a proposed retail price of $429 it’s an investment that is sure to keep the party going. Update: This product is still in the later stages of production, but is now ready for presale. However the Margaritaville Mixed Drink Maker is currently available on Amazon and allows you to make up to 48 types of cocktails at the click of a button. While many of the Samsung SmartThings aren’t new, what was new at this year’s CES was the integration of SmartThings into the Smart TV line. Now the entire product line of SmartThings can be managed through a hub on your Samsung Smart TV. 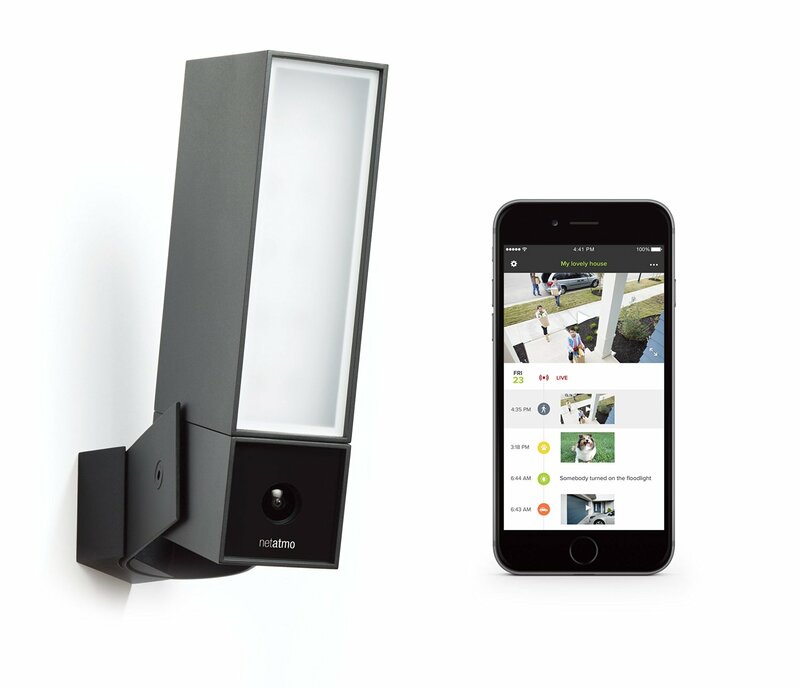 This allows you to have control over more than 200 devices that include security cameras, lights, locks and more. With the new Smart TVs being IoT friendly you can now control all of your devices through the SmartThings Extend USB adapter or by using a smartphone app. By connecting to the SUHD application you can set routines and even see what is happening around your house, and you can be notified when an urgent or important event takes place. Samsung’s commitment to home automation though it’s SmartThings Home Monitoring Kit just took a significant step forward with the SUHD integrations. With hundreds of smart home products that can be connected to the hub, it’s easy to see why we have two Samsung products on our list this year. If they continue this trend, we will most likely see them at the top again in 2017. Update: Samsung announced that if you purchase a 2016 Smart TV they will provide the SmartThings Extend for free. This drone is designed to carry more than a package; it can move one single passenger from one location to another. All you have to do is get in, turn it on and then select your destination on a tablet, say a prayer or two and then hit the “take-off” button. Once you take off the drone will take over and manage everything from communicating with air traffic control and other aircraft to plotting an obstacle-free course to your selected location. There are failsafe systems that can take over should there be a malfunction, but what can really go wrong when you are flying around in a drone? It can carry up to 264 pounds, and has space to carry a backpack, purse or laptop. 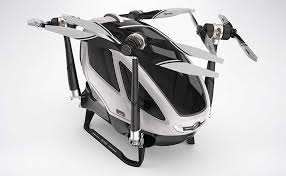 According to the Ehang, it is already operational, so the next time you need an Uber, you may have to choose between car or drone. CES 2016 was full of smart solutions from home surveillance cameras like the Netatmo Presence that can alert you as to whether the thing rustling in your bushes is an animal or a person, although both options sound scary, to a robot that folds your laundry with the Laundriod from Seven Dreamers. And while there were some amazing new smart home items to look forward to, there were some others that still have us a bit perplexed. These are some of the smart products that we just didn’t connect with at this year’s CES. Before you spend $129 on a Grillbot, stop and think about all the less expensive ways you can clean your grill. Now if you really hate cleaning the grill, and you have some extra cash go for it. But in terms of high-tech items, this one isn’t that cool. 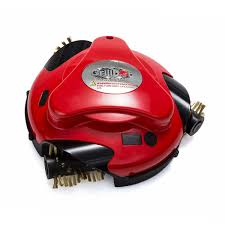 It works like a Roomba and uses spinning brass brushes to clean your grill. The manufacturer site says you have to close the lid but then says it’s fun to watch, so I am not sure if you have to keep the cover closed or if you can open the lid to watch. If you should choose to invest in a Grillbot, just make sure you know if you should keep the lid open or closed. Or just clean your grill yourself. If you are looking for a passive aggressive umbrella that states the obvious, then you have found your perfect match in the Oombrella. The Oombrella is equipped with meteorological sensors that can tell you the temperature and humidity and it does it all with a futuristic color scheme. Some of its positives are that it can stand up to pretty tough wind, and it’s UV resistant. And it’s also shiny with lights inside. And if you forget it at home it can nag you until you come back to get it, so it’s kind of like your if your mom was an umbrella. If a weather tracking shiny umbrella with different colored lights and a severe case of separation anxiety is what you have been dreaming of, then you are one lucky weather obsessed umbrella lover because your dream has come true. If you just want to stay dry when it rains, your trusty old umbrella should be just fine. 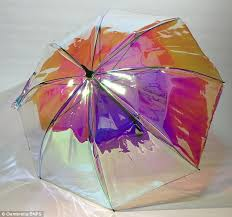 Update: Given that its current site is linked to an IndieGoGo page it may be awhile before your shiny Oombrella is on the market. The good new is we are getting closer to smellivision which would be Willy Wonka level awesome. Sensorwake is an alarm clock that quietly wakes you with your favorite scents. So if you want to wake up to the smell of coffee brewing, you no longer have to set your coffee pot to start brewing, now you can use a scent cartridge that will fill your room with the smell of coffee. But then you will have to get up and actually make coffee, so there is that. 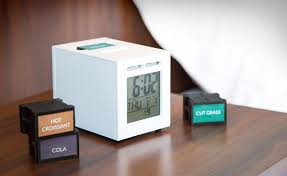 For just $89 you can wake up to croissants baking, coffee brewing or even grass, because who doesn’t wake up when they smell grass? Each cartridge has 30 “awakenings” after that you have to pay about 11 bucks a pop to wake up to the smell of chocolate. According to the Sensorwake site, it is “Pure magic! This is how your brain answers to scent and wakes you up motivated and in a good mood!” Until you realize the coffee smell is just a smell, and you still have to make coffee. Update: Priced around $109 you can purchase this item and wake up to the smell of toast! It still won’t get you coffee, though. 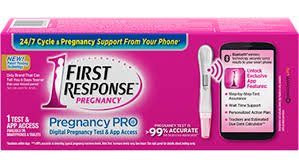 If you wanted a Bluetooth enabled pregnancy test, now you have one. First Response has now created the first and only Bluetooth digital way to find out if you have a bun in your digital oven. After asking why for like an hour, I tried to understand why someone might want this. So I read more about it, and no, I still don’t understand. If you get a yes, it tells you how to manage your pregnancy, if it’s a no you get information about how to get pregnant, which is way better than finding a physician to help you with that. Who needs an obstetrician or a fertility specialist when you have an app? Update: Your first Bluetooth pregnancy kit is on the market at a price of $22, but again I ask, why? Speaking of things that make you go “why?”, We have the Welt from Samsung. 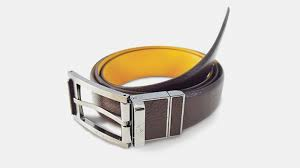 The Welt is a belt that tracks your fitness, activity levels, and waist size by connecting to an app. So when you are jogging in your leather belt, because everyone works out in a belt, you can look at an app to see if your waist is smaller. It is currently on Kickstarter, so if you are the kind of person that ski’s in your jeans, this might be the belt, or welt, for you. If only there were a million other ways to track your fitness, oh wait there are! So unless you really want to run with a belt on, maybe look at some less cumbersome options. Update: You can support the Welt (because who doesn’t want something that reminds them of a painful red swollen mark) on Kickstarter today. Now that you have reviewed some of the most impressive technology from CES 2016 and some of the “why are they still here” offerings and have been updated on their status, all we can do is wait until January 2017 to see what the future has to offer. In the meantime, you can occupy your time by waking up to the smell of grass and then taking a nice long run in your welt.